Part of the 13-volume set, each volume includes a time-management aid and a built-in professional development feature designed for teachers of all experience levels. The cohesive design helps you deliver instruction in five critical areas: phonemic awareness, phonics, vocabulary, comprehension, and fluency. Lessons support modeling, guided practice, and your own teaching routine. All Teacher’s Resources are on DVD-ROM and online. † - Items can only be purchased with PO or school credit card. These weekly high-frequency vocabulary words help you target decoding and comprehension skills. Look Back and Write Weekly features are included. Blackline masters of student tests available separately. These summative assessments help teachers evaluate students’ progress at the end of each unit and at the end of the year. Includes information for administering the tests, scoring the tests, and interpreting the results. Blackline masters of the student Benchmark Tests available separately. Now in digital format! 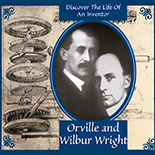 This DVD-ROM features high-quality, authentic literature organized around units that develop grade-level science and history/social science concepts. Envision It! and Words! provide additional practice with target skills and strategies in a visual format. Also available in a Student Edition print 6-volume package or in single print volumes. 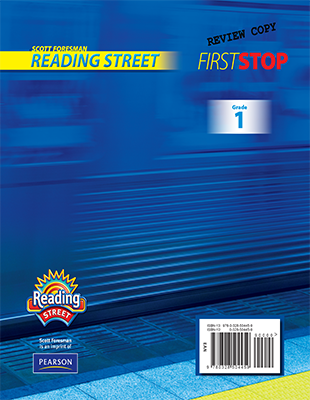 Each grade level handbook, organized in an appealing visual format, provides practice and reinforment of target skills and strategies addressed in the corresponding Reading Street Student Edition. Interactive weekly practice in grammar and writing, as well as reinforcement of spelling rules covered in the Teacher’s Edition. Includes take-home word lists and a cumulative review. May be used as a consumable workbook or photocopied as blackline masters. Teacher’s Manual available separately. Provides explicit, scaffolded instruction and specialized support in phonics, academic vocabulary, word and sentence structure, and grammar for English language learners. ELL students will develop English listening, speaking, reading, and writing abilities at their individual language proficiency levels. 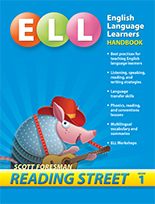 The handbook also supplies teachers with professional development guidance and resources for teaching ELL students. Helps teachers target and review comprehension skills at three ability levels (below, on level, and advanced) for each week. The material can be used for fluency and comprehension assessment. Teacher’s Manual available separately. Target and review comprehension skills at three ability levels (below, on level, and advanced) for each week. Can be used for fluency and comprehension assessment. Student version available separately. Access each week’s vocabulary (high-frequency words) and target decoding and comprehension skills. Look Back and Write Weekly features are included. Teacher’s Manual available separately. These Blackline Masters summative assessments help you evaluate students’ progress at the end of each unit and at the end of the year. Provides suggestions for classroom-based assessment and ideas for preparing students for high-stakes tests. 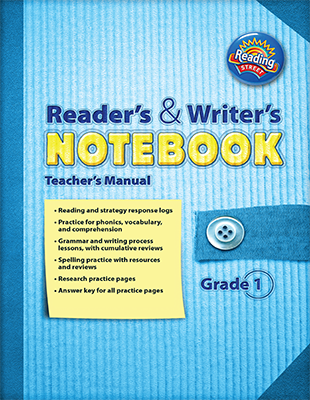 Teachers can record their observations of students’ reading and writing abilities and progress. Includes forms students can use to record their interests and progress. 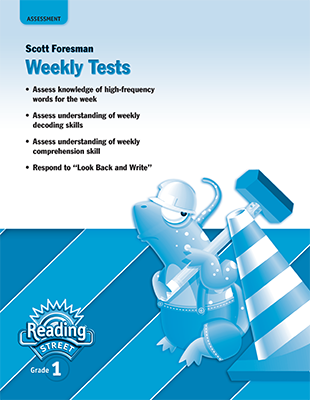 Test assesses students’ strengths and needs in key Reading First areas and provides grouping suggestions. Ten copies to a package. Teacher’s Manuals available separately. 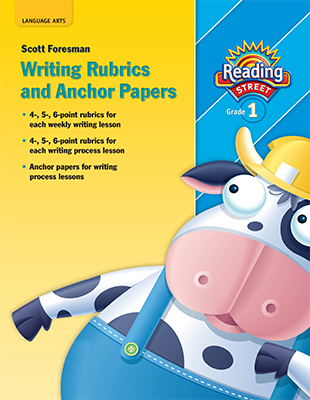 Helps teachers assesses students’ strengths and needs in key Reading First areas and provides grouping suggestions. Blackline masters of student tests available separately. A carefully planned scope and sequence and 90 15-minute lessons build phonological and phonemic awareness. Kit includes: Phonemic Awareness Teaching Guide, Phonics and Decoding Worktext and Teaching Guide, Fluency Worktext and Teaching Guide, Vocabulary Worktext and Teaching Guide, Comprehension Worktext and Teaching Guide, Implementation Guide, Write-On/Wipe-Off Boards, Letter Tiles, and Routines Cards. Components available separately. The numbered item(s) are subject to one or more of the following warnings as indicated. 1 - Small Parts. Not for children under 3 yrs. 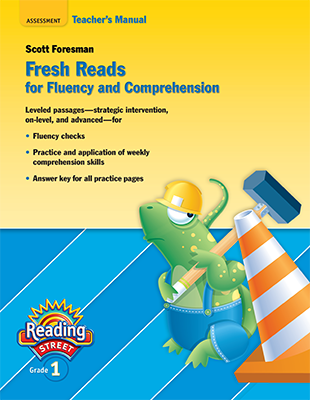 This Teacher's Gide is a component of the Scott Foresman® Reading Street Response to Intervention Kit. 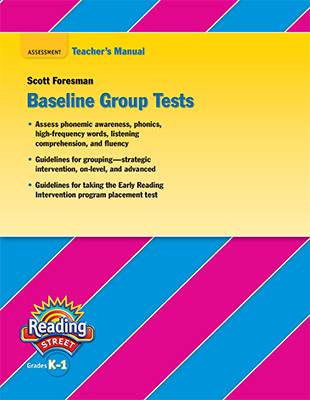 This Teacher's Guide is a component of the Scott Foresman® Reading Street Response to Intervention Kit. Reference for learning and using instructional routines. Lowercase letter tiles can be used for phonics and decoding instruction. Weekly instruction for each station in child-friendly language. Kit includes the following tabletop flip charts: Listen Up! (Phonemic Awareness); Word Work (Phonics), Read for Meaning (Comprehension), Words to Know (Vocabulary), Let’s Write (Writing); Get Fluent (Fluency). 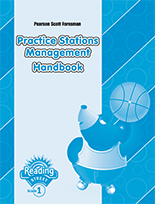 Kit also includes Practice Stations Management Handbook. READING 2011 LEVELED READER GRADE 1.1.5 ON WHAT ANIMALS CAN YOU SEE? READING 2011 LEVELED READER GRADE 1.1.6 ON WHICH ANIMALS WILL WE SEE? Each level contains 6 copies each of 30 titles with a Teaching Guide. 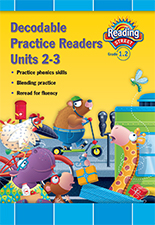 Comprehensive collection includes six copies of all below-level, on-level, and advanced Leveled Readers plus Teaching Guide for Advanced leveled readers only. Kindergarten: 648 readers. READING 2011 CONTENT LITERACY READER GRADE 1 WEEK 4 UNIT 1 SURPRISE! SURPRISE! 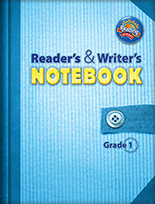 Provides weekly readers in electronic format to build background, scaffold comprehension, and promote fluency. Readers are connected to core content, and audio support improves comprehension. 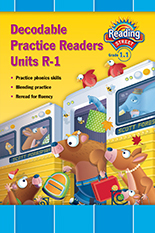 Students can sort readers by unit or title; teachers can also sort by topic and Guided Reading, DRA™, and Lexile® levels. 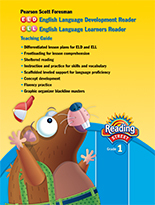 Contains: Leveled Readers, Concept Literacy Leveled Readers, Decodable Readers, Strategic Intervention Decodable Readers, and ELL Readers. Readers provide focused practice for each phonics element and opportunities to reread for fluency. All vocabulary and phonics skills are pretaught, giving students 100% pential for accuracy. 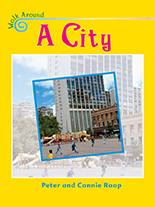 Grade level package contains one copy each of five volumes, 12 stories per volume. Also available as a bookshelf collection. Readers provide focused practice for each phonics element and opportunities to reread for fluency. All vocabulary and phonics skills are pretaught, giving students 100% pential for accuracy. Bookshelf Collection contains six copies each of five volumes, 12 stories per volume. Also available as a grade level package. These books help struggling readers connect phonics to text and develop mastery of phonics skills. 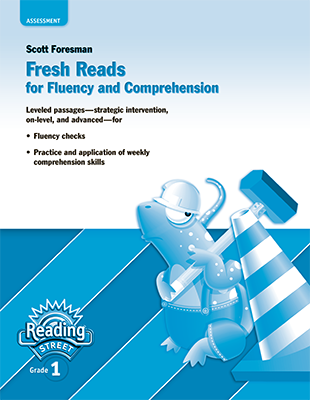 Through systematic practice and reinforcement, students begin to achieve greater fluency and confidence as independent readers. Included on Reading Street Readers CD-ROM. Unique teacher edition resource includes instructional routines and mini-lessons; comprehensive wiriting workshop; guidance for assessing, grouping, and monitoring students' progress; and resources for learning communities. Model fluency and comprehension strategies during the shared reading experience with this engaging Big Book Package. Children will also develop listening skills, oral vocabulary, and understanding of print concepts. Package cotains 1 copy each of 14 titles. 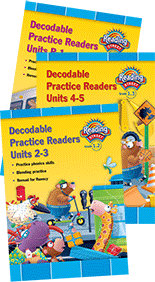 Little Book package for independent reading practice available separately. READING 2007 BIG BOOK GRADE 1.06 WHAT MAKES THE SEASONS? READING 2010 (AI5) BIG BOOK GRADE 1.02 FIRST GRADE HERE I COME! 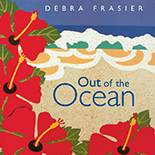 One of 13 titles included in the Big Book Grade Level Package. High-interest literature introduces unit themes and provides shared reading opportunities. Children become familiar with concepts of print and develop fluency. (1.06) What Makes the Seasons? 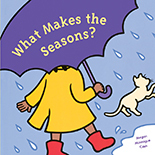 Product Name: (1.06) What Makes the Seasons? Invoice Title: RDG07 B/B G1.06 WHAT MAKES THE SEASONS? Model fluency and comprehension strategies during the independent reading experience with this engaging little book package. Children will also develop oral vocabulary, and understanding of print concepts. Package cotains 1 copy each of 14 titles. Big Book package for shared reading available separately. READING 2010 (AI5) LITTLE BOOK GRADE 1.02 FIRST GRADE, HERE I COME! Selections support unit comprehension instruction and extend concepts. Includes 12 books. 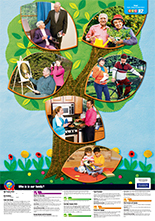 Lesson plans for each selection are available online. Titles subject to change without notice. 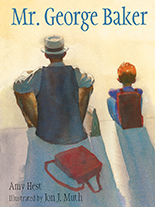 Support reading fluency and teach oral interpretation of poetry. 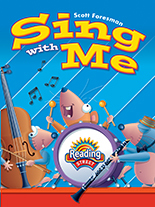 Encourages reluctant or inexperienced readers to build confidence by performing as part of a group. 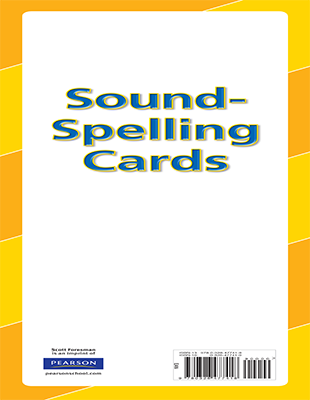 Two-sided cards include a photograph and a list of spelling for each sound. Blending routines help introduce sounds and spellings in the phonics lessons. 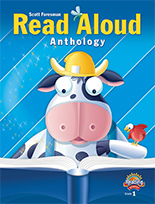 Read aloud selections in a variety of genres build vocabulary and develop concepts, and strengthen comprehension skills throughout the year. Classroom instructional routines in easy-to-use flip chart format. 40 large cards help children recognize and use high-frequency words for each lesson. Full-color cards support comprehension through retelling, summarizing, and sequencing. One set of cards per week. Six cards per selection. 182 cards. Alternate comprehension lessons, selection summaries in six languages, vocabulary activities, and a multilingual glossary support the three pillars of ELL/ELD instruction: activate prior knowledge and build background, access content, and extend language. 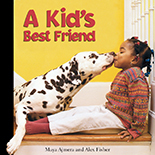 Engaging fiction and nonfiction selections develop weekly concepts, reinforce tested vocabulary, and written to beginning level English reading ability. Varied genres provide rich language models through accessible text that fosters comprehension and grammar skills. One title per week for each grade level. Illustrated posters support tested vocabulary and background concepts with oral language activities for each day of the week. Grade 1: 36 posters. Access Student Edition and student components online. Digital path student content includes: Main Selection eText; Paired Selection eText; Decodable eBooks (K-3); Interactive Sound-spelling Cards (1-3); Tested Vocabulary Activities (1-6); Online Journal (K-6); Story Sort (K-6); ELL eReaders (1-6); ELD e-Readers (1-6); Leveled eReaders (K-6); Leveled Readers Database (K-6); Grammar Jammer (1-6); New Literacies Activities (1-6); Online Assessment (1-6); Big Question Videos; Concept Talk Videos (K-6); Amazing Words Sing with Me Animations (K-2); Envision It! Animations (K-6) Online Games and Activities (K-6) Sold on a per student basis. 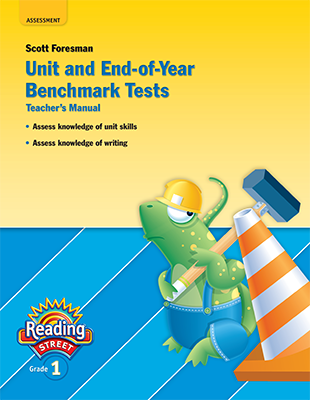 Create, customize, and print Unit and End-of-Year Benchmark Tests in national, TerraNova, and state formats. 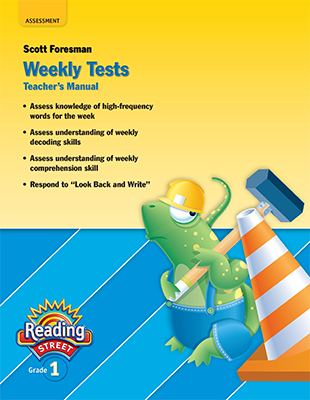 Easy-to-use software analyzes test results and prescribes reteaching activities using Reading Street resources. Macintosh/Windows dual compatibile disk. Complete narration of the Student Edition allows all students to access the content. 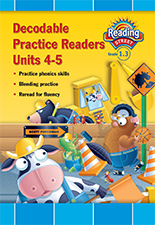 Ideal for English Language Learners, struggling readers, and auditory learners. 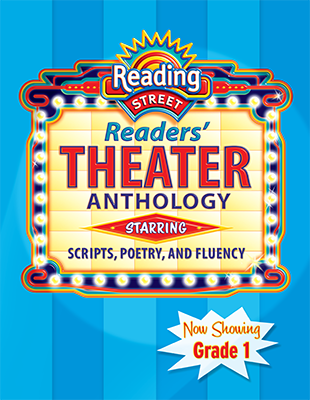 Engaging interviews, songs, and primary source recordings activate prior knowledge and build background for each main Reading Street® selection. 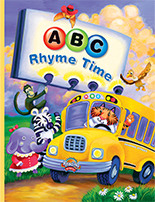 Build unit concepts and practice Amazing Words with the songs on this audio CD to increase children’s text comprehension.